How Are You Feeling, Mr. Trump? When working with families and couples, therapists do not take sides. We are taught to take a neutral stance, keeping an open mind and focusing our attention on understanding the psychological explanations behind each person's personality. 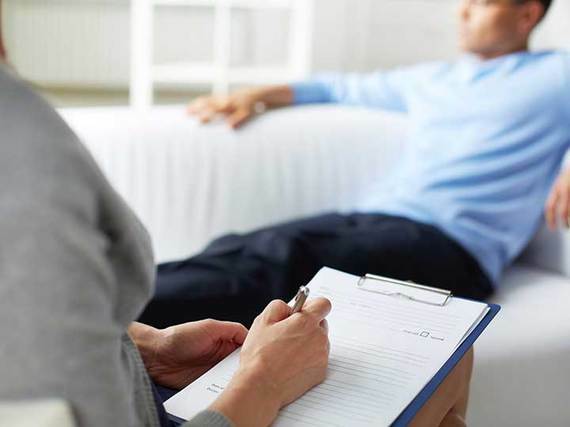 There is no "good person" or "bad person" in the therapy world. Years of training has taught me to see people as they simply are -- each one unique in their own way, shaped by intricate psychological complexities. Getting to the core of the person is a fascinating journey of gently unraveling every layer until I come face to face with the, most often, vulnerable human being waiting to be seen. Then the real work begins, with one simple question, "How are you feeling?" What may be considered "unsafe behaviors" by society are viewed, in therapy, as self-soothing, self-regulating strategies to cope with a history of neglect, trauma, complicated failures of developmental integration or unmet developmental needs. So when I sit across from a person, I not only see the behavior, I also try to discern the story that motivates the behavior. Taking such an impartial stance in my personal life, as in my professional one, has given me the opportunity to tune into the world of the other person involved and has kept me sane in many of my own interpersonal conflicts. Though I may not endorse the other person's perspective, getting a glimpse into the inner workings of their mind has sufficed in healing many hurts. So when I started to follow the current political scene in our country as it went from an entertaining spectacle to an immensely disturbing rendition of a Shakespearean tragedy, I could not help but be curious about the psychological underpinnings of the person at the center of it all. I have been watching him with sheer incredulity -- intensely aware of my own reactions, struggling to keep a balanced view as questions race through my mind: "How troubled must a person be to actively contribute towards the florid decompensation of a nation's state of mind? To blatantly disregard, what one might say, common decency and sensitivity towards fellow humans. To lack basic civility -- a skill that my little one so beautifully mastered at the age of three. And why am I letting him question my instinctive ability to be an impartial observer?" I found my answers after spending some time analyzing his personality and I would like to say, "I get you, Mr. Trump. I really do." I can only imagine how difficult it must be for you to fall asleep at night knowing the pure hatred and loathing millions around the world have for you. But what they may not know is how you came to be the person you are today. How it was like for you to be deprived of parental empathy when you were a child. They may not know how alone you felt when your caregivers failed to attune to your emotional needs. There is no wonder then, that you never learned how to appropriately regulate your emotions or develop a secure sense of self. All alone with intense feelings, with no one to validate your internal experience, you simply learned to cope, not knowing if the coping mechanisms you used were safe or not. You probably did not learn to develop healthy attachments in your early relationships either. Hence the relentless striving for attention and admiration and a flagrant indifference to how you seek them. Being the second youngest of five, growing up in a wealthy family you had no choice but to sustain a grandiose self-image. If you had not, you risked being viewed as weak or getting lost in the crowd. Hiding behind this grandiose image -- the one aspect your parents probably valued in you -- must have been the only way you knew how to cope with emotional deprivation. So I understand your, rather painful, psychological struggles. But as a therapist, it is agonizing to sit back and watch someone spread fear and hatred and destroy the fundamental meaning of being human as a result of their own intimate internal battles. It is time, therefore, for you to have a corrective emotional experience. So let us talk before it is too late. Please sit down with me, Mr. Trump. I would like to meet the person beneath the façade and ask, "How are you really feeling?"